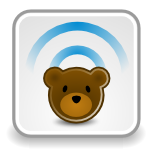 GROWLr is the complete social networking app for gay bears. And it’s FREE. With over 10,000,000 GROWLr members, you can view profiles from around the world or right in your own neighborhood. Send and receive private messages, pictures, or voice memos. Complete and up-to-date bear run and bear bar listings. Checkin features, notes and more. Download for iPhone now. Download for Android now.